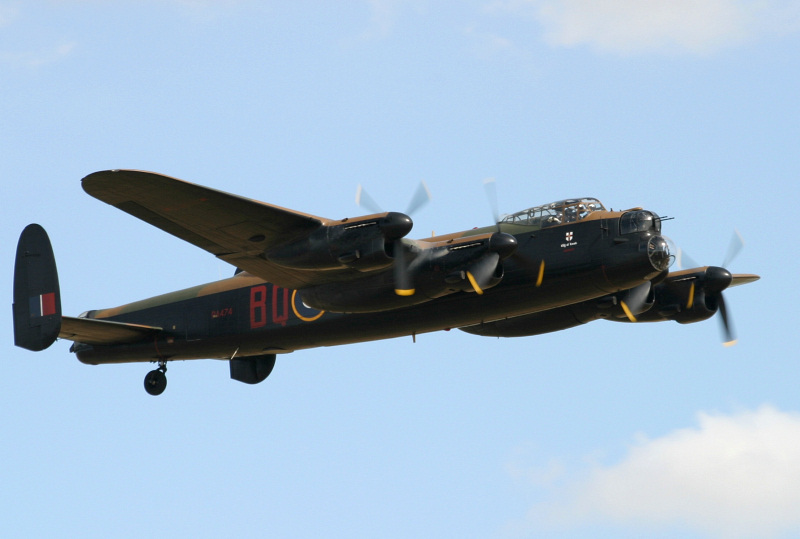 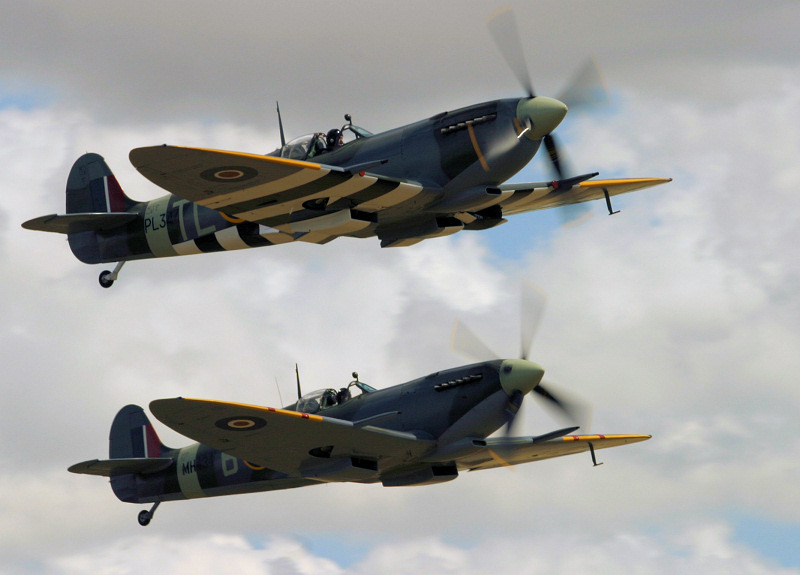 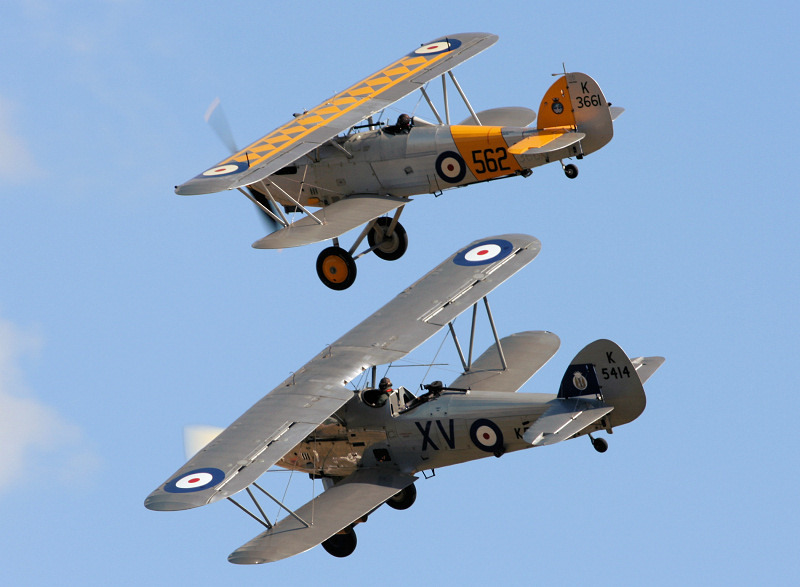 What better event than Flying Legends, at Duxford, to commemorate the 70th anniversary of the Battle of Britain. 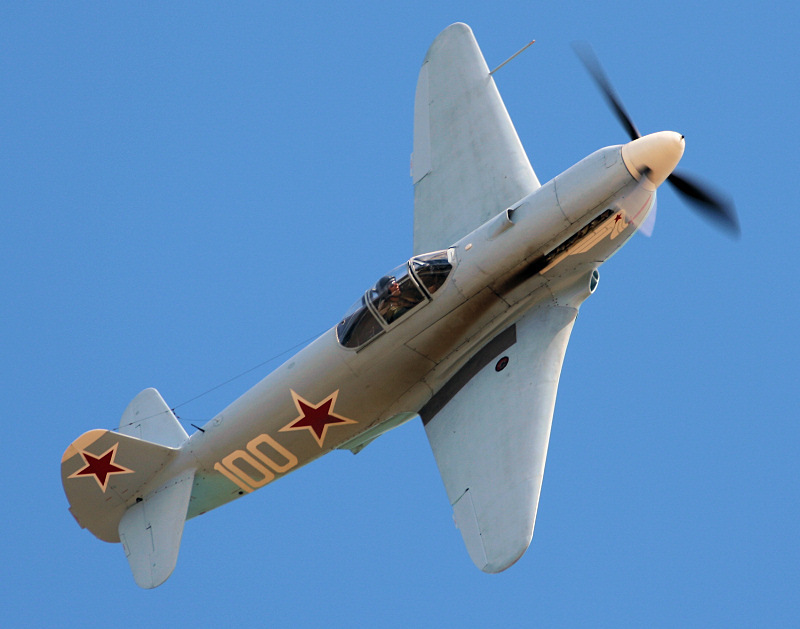 To see the sights and sounds of so many World War 2 aircraft taking to the air on this historic airfield. 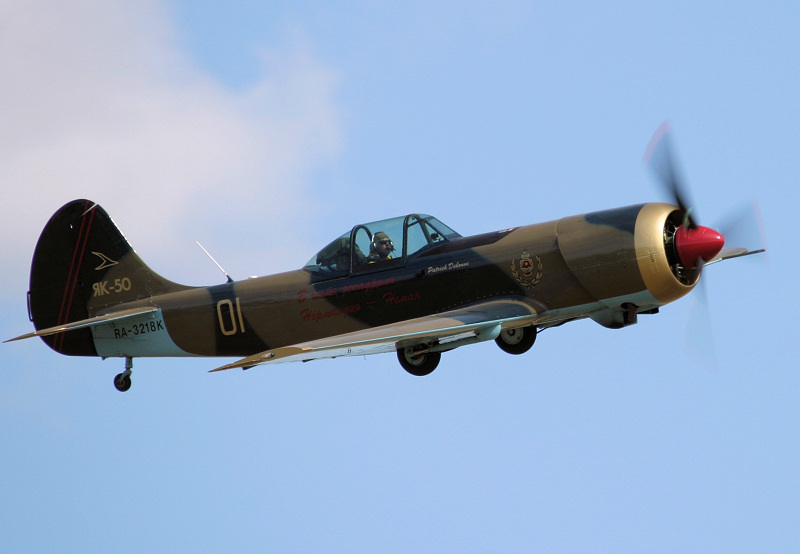 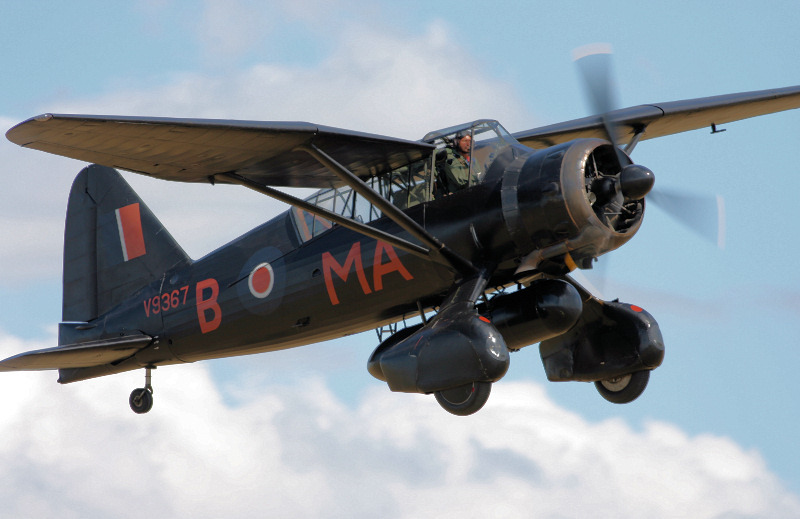 With so much to see on the ground with the extensive museum, stalls, and flight-line walk allowing you to get close to these historic aircraft, complete with re-enactors in period costume. 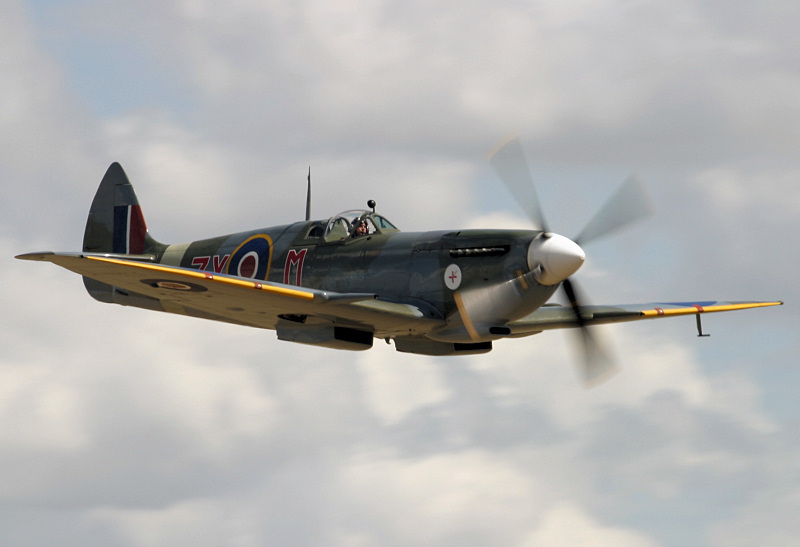 The flying display starts at 2pm with non-stop breathtaking action for over 3 hours including Spitfire scrambles and various formations of aircraft being expertly flown by skilled pilots from all over the world. 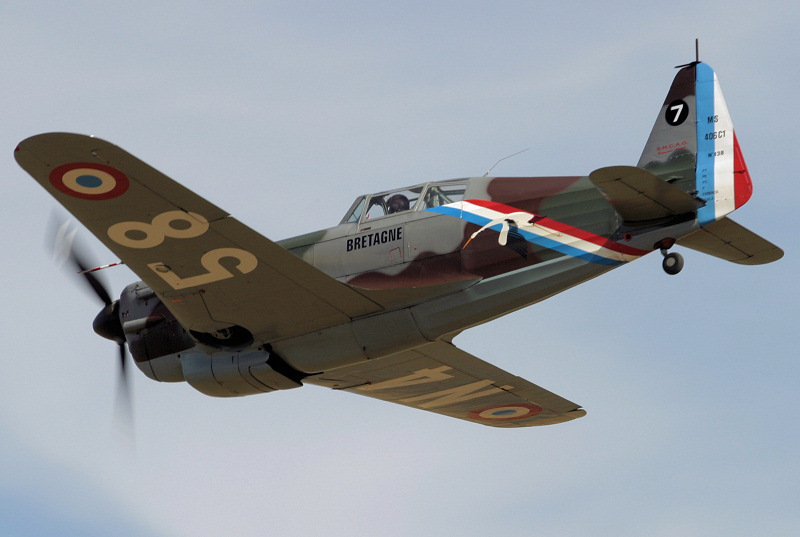 First to display were eight Spitfires, Hurricane, and a HA-1112-Bouchon. 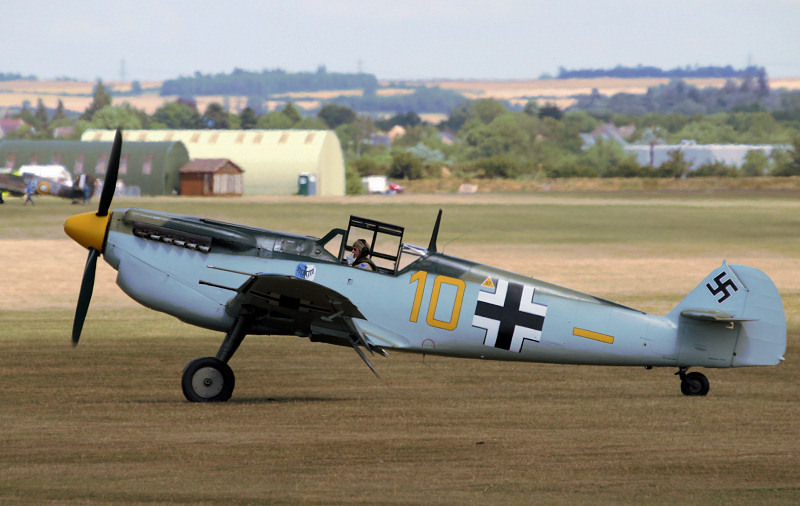 A Bouchon is a license-built version of the Messerschmitt Bf 109 which was developed in Spain during and after WWII. 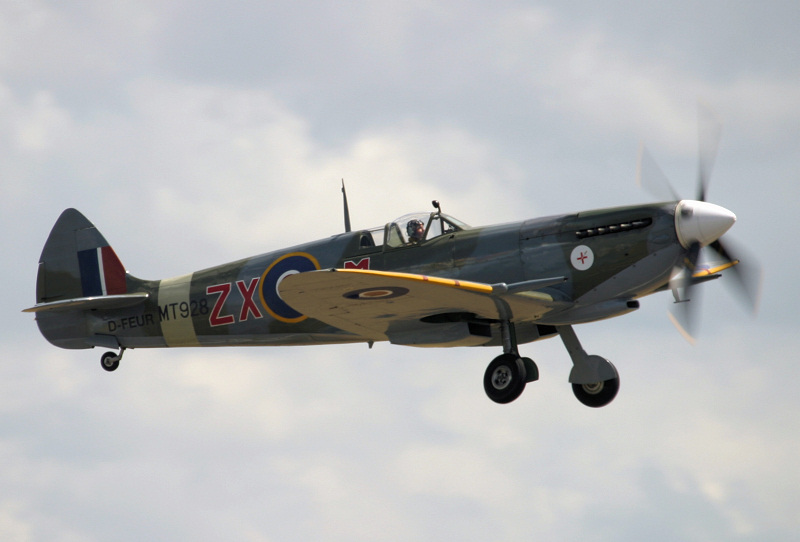 This aircraft is equipped with a Rolls-Royce Merlin engine and was used in the 'Battle of Britain' film in 1968. 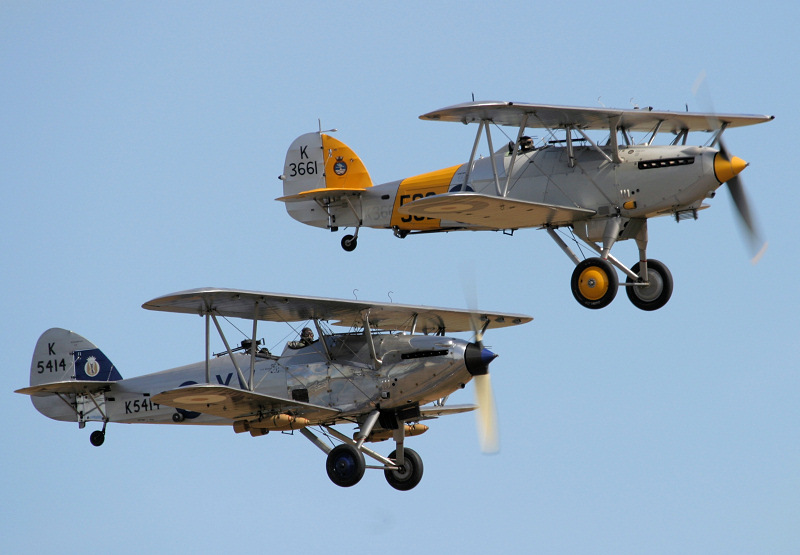 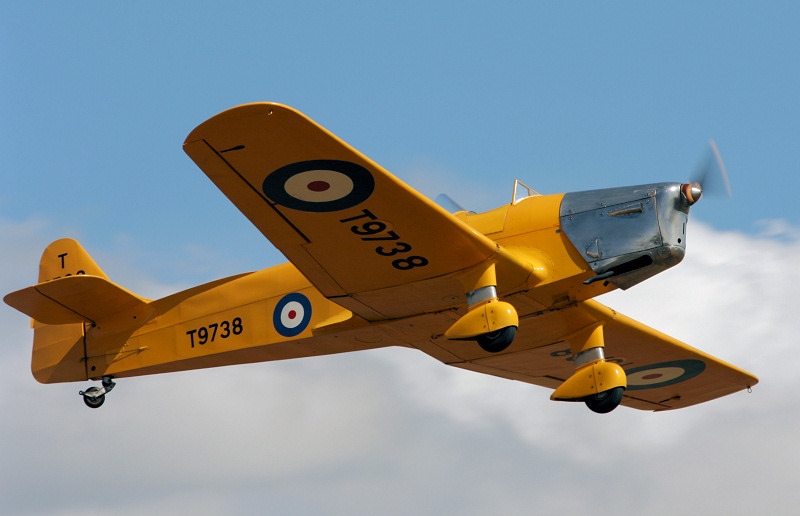 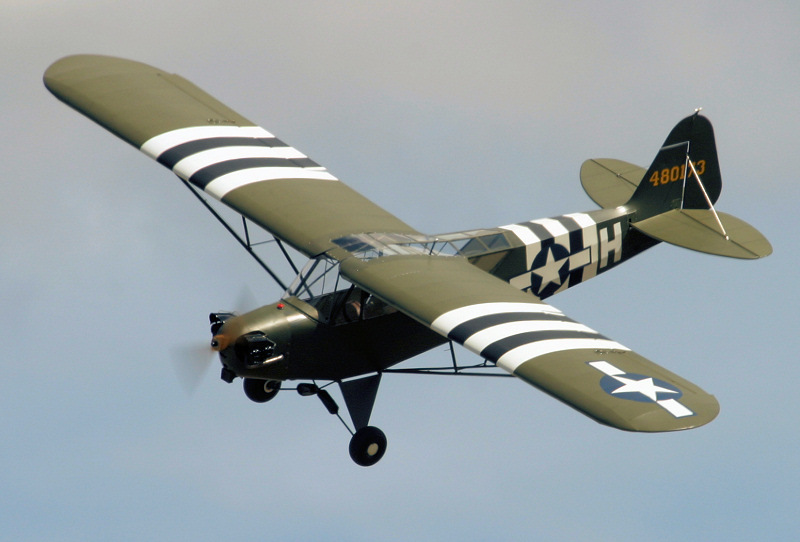 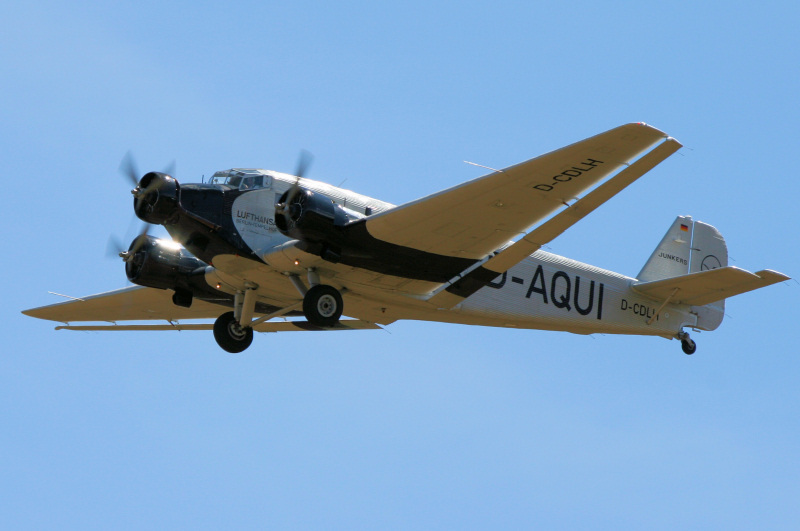 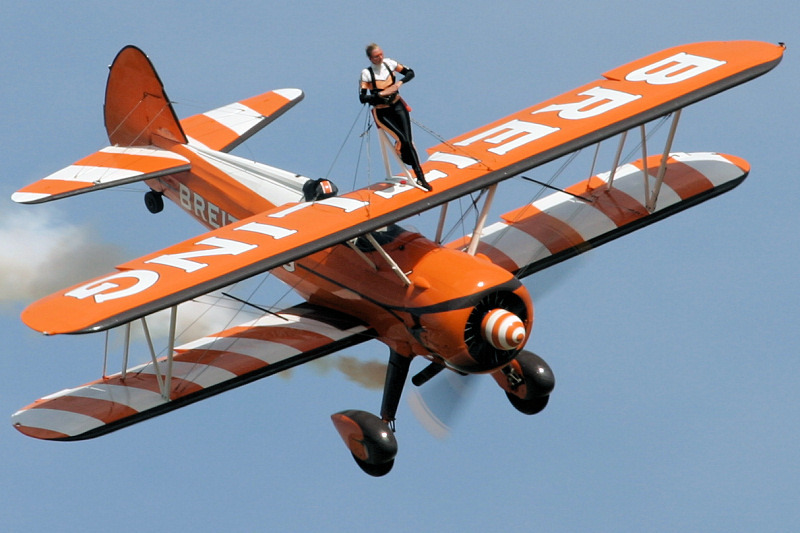 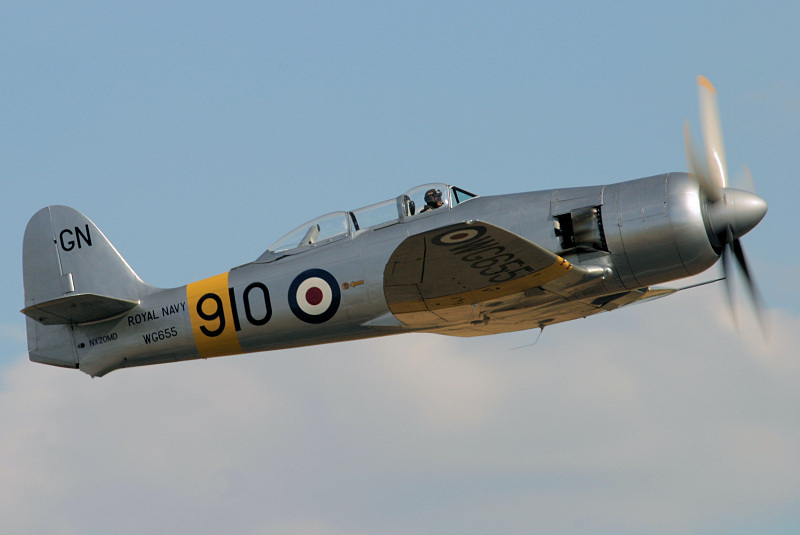 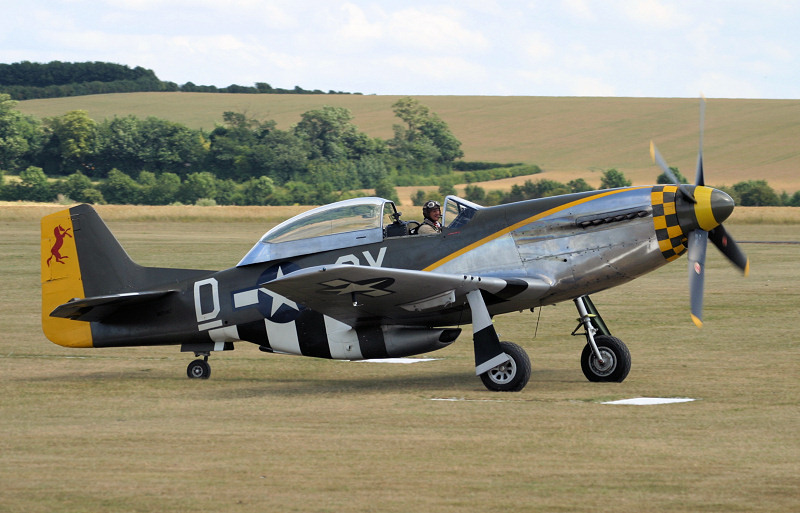 It is currently owned by the Aeroplane Restoration Company (ARCo) which is based at Duxford. 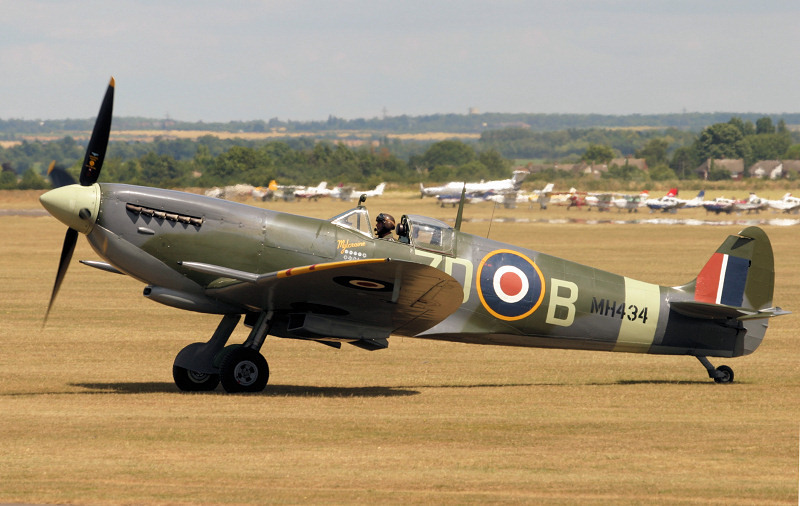 The Spitfires included Spitfire1a (AR213 - Sheringham Aviation), Spitfire Vb (BM597 - HAC), Spitfire Vb (EP120 - TFC), Spitfire VIII (MV154 - Max Alpha Aviation), Spitfire IXc (MH434 - OFMC), Spitfire IXe (PL344 - Spitfire Ltd), Spitfire XVIe (TD248 - Spitfire Ltd), and Spitfire XIX (PS890 - Corsair Warbirds). 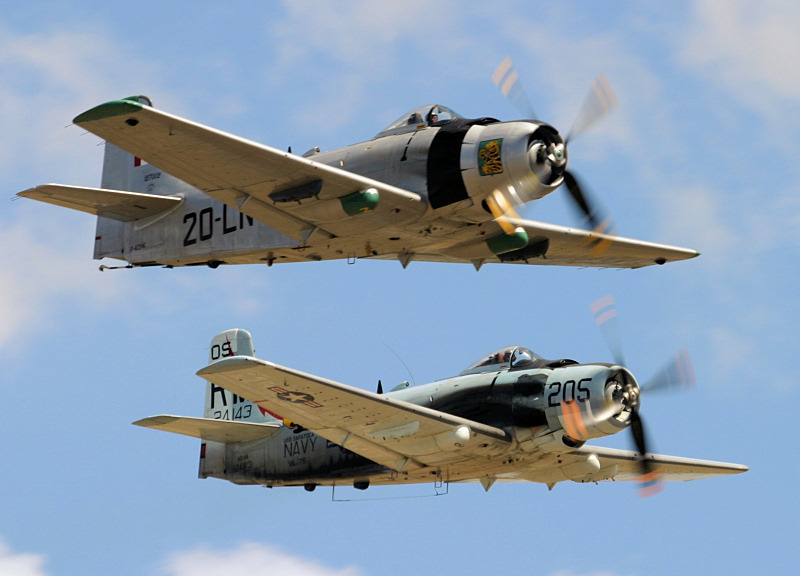 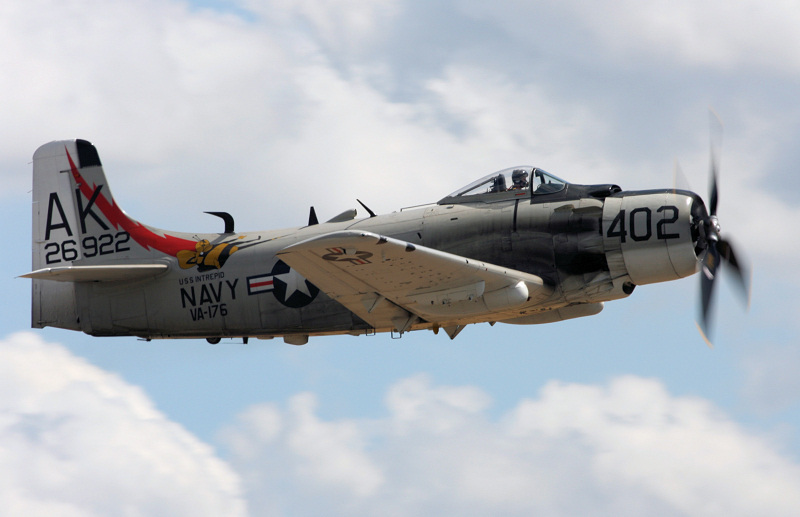 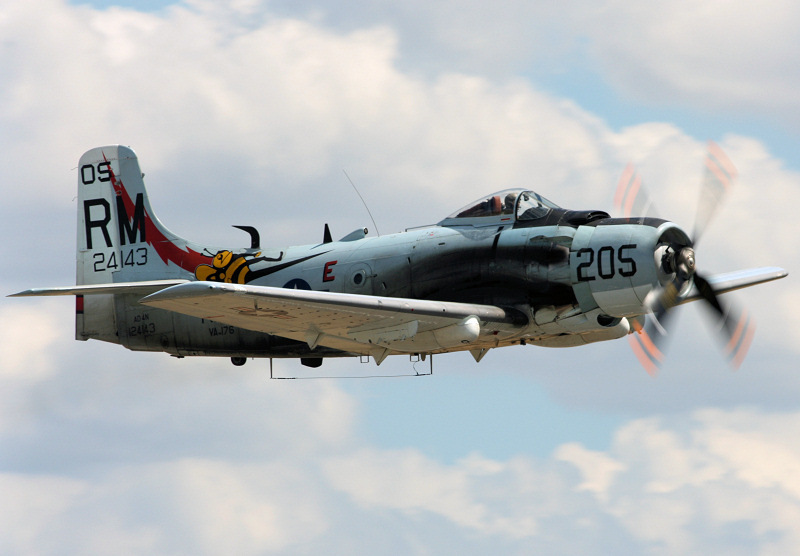 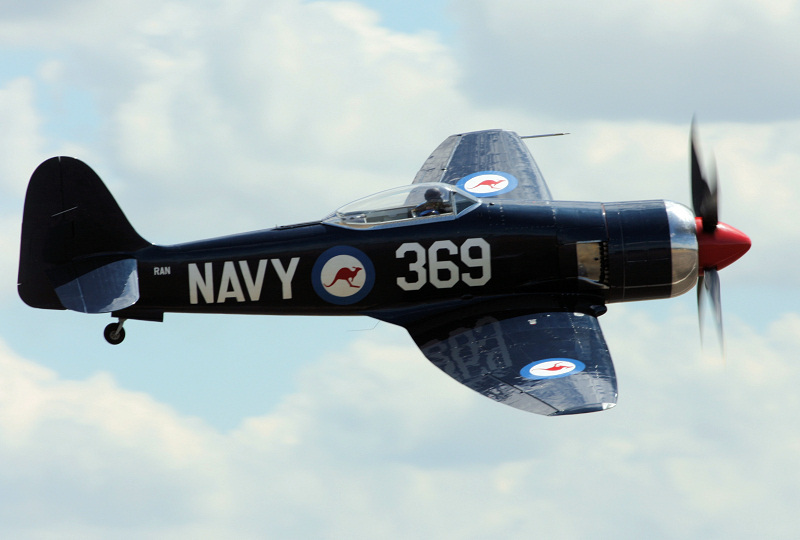 Displaying next were now fewer than three Skyraiders, Seafire, two Furys, Bearcat, and Corsair representing naval aviation. 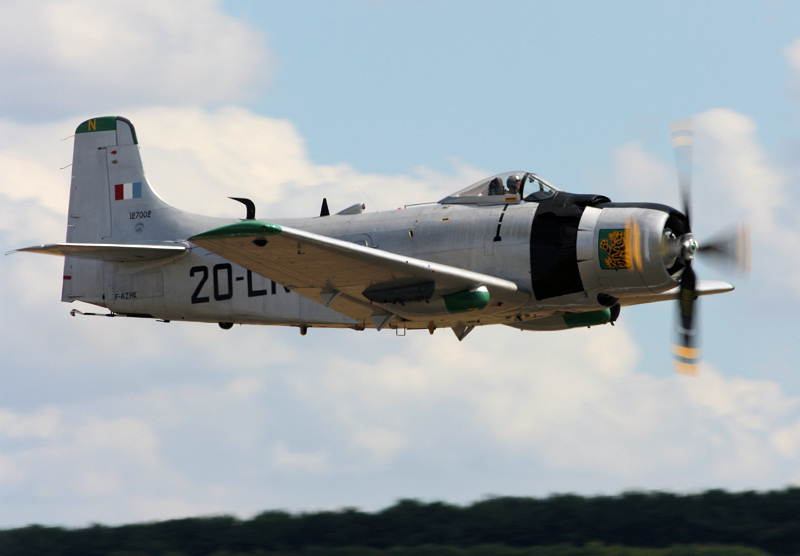 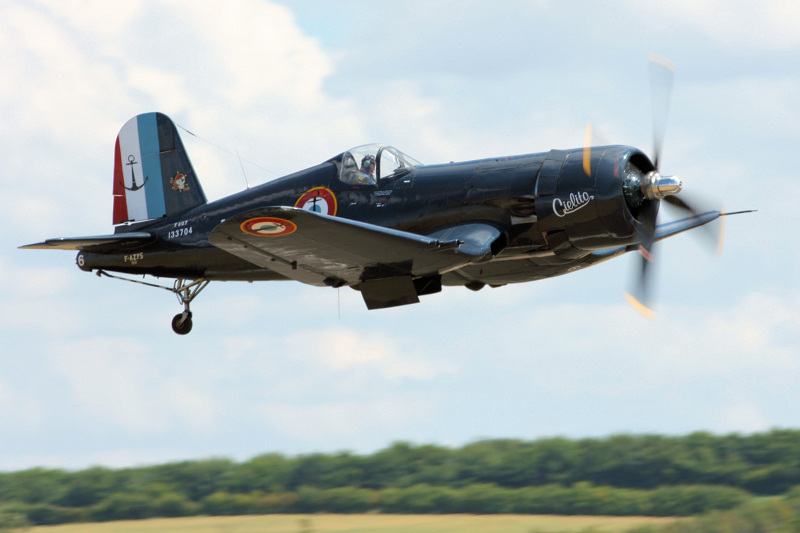 The Skyraiders included the French AD-4NA (F-AZHK), French AD-4N (F-AZDP), and AD-4NA (G-RAID) owned by The Fighter Collection (TFC) based at Duxford. 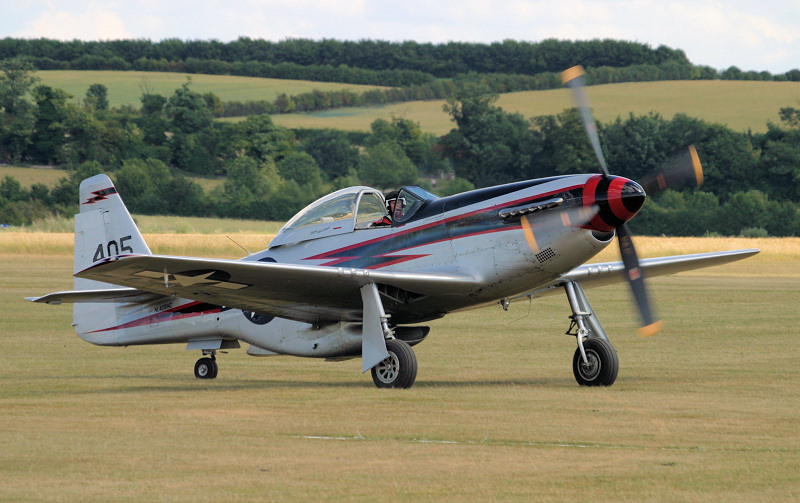 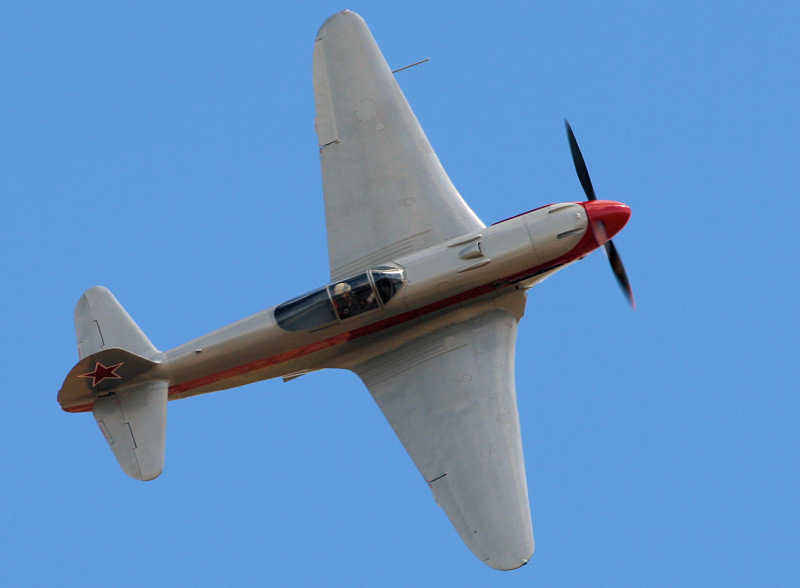 The Seafire (SX336) is owned by Kennet Aviation and first flew after its restoration in May 2006. 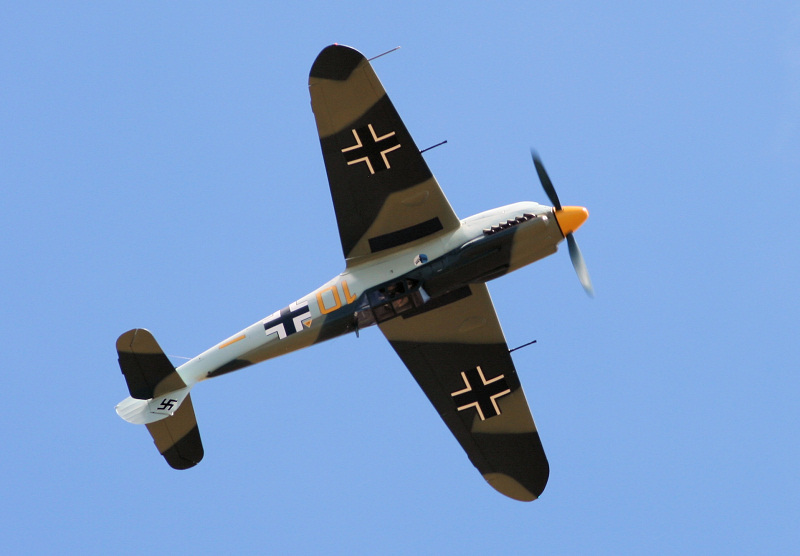 The Germans were represented next with a Junkers 52, Me-108, Jungmeisters, and a Jungmann. 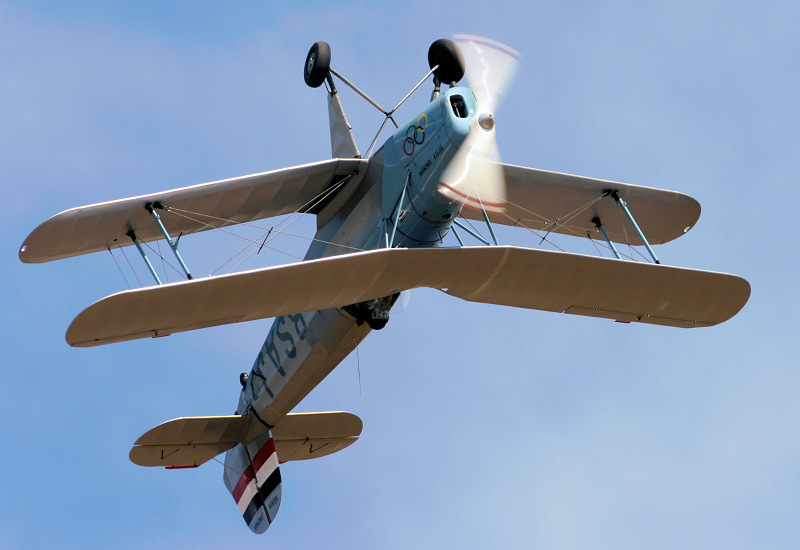 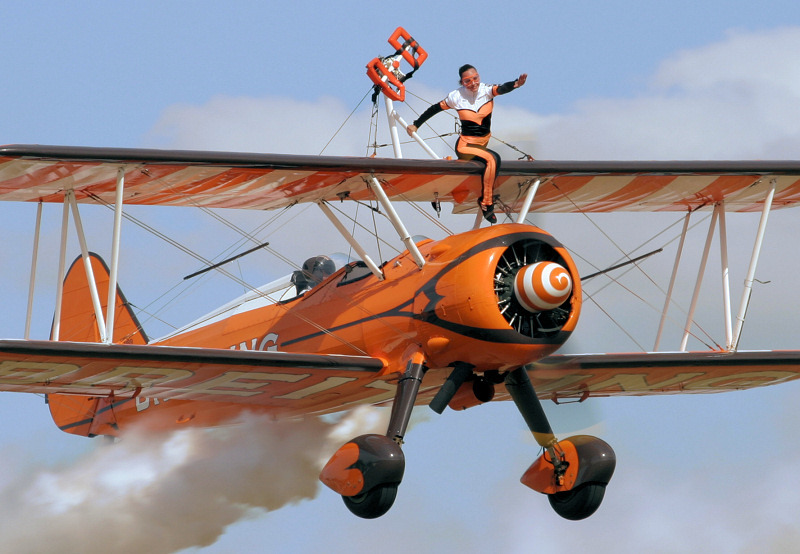 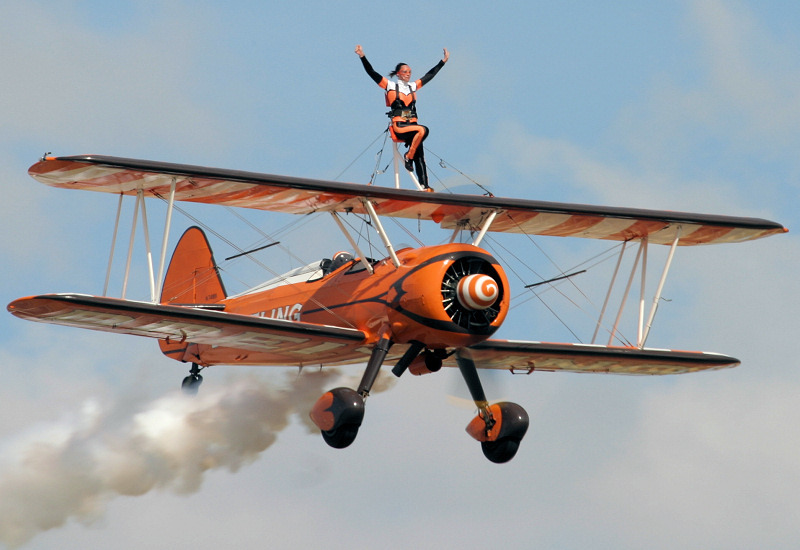 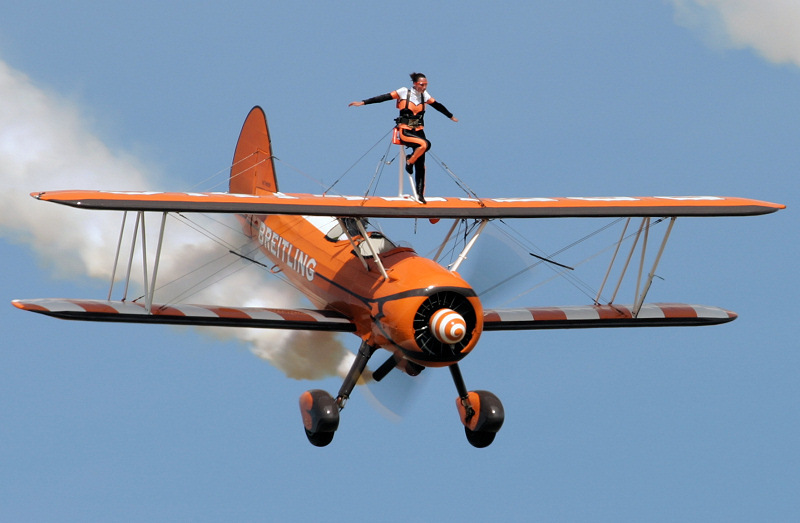 Anna Walker performed her aerobatic display to the music of Ravel's Bolero in the Bucker Jungmann. 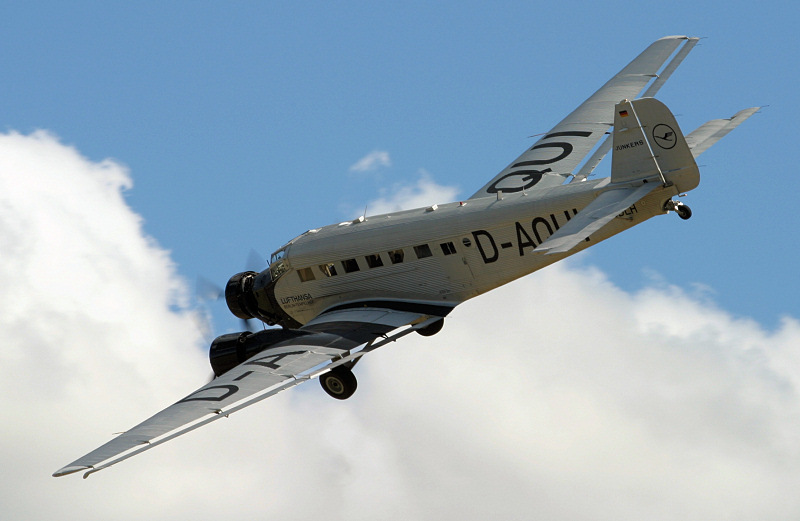 The Junkers 52 was a German transport aircraft built from 1932 to 1945. 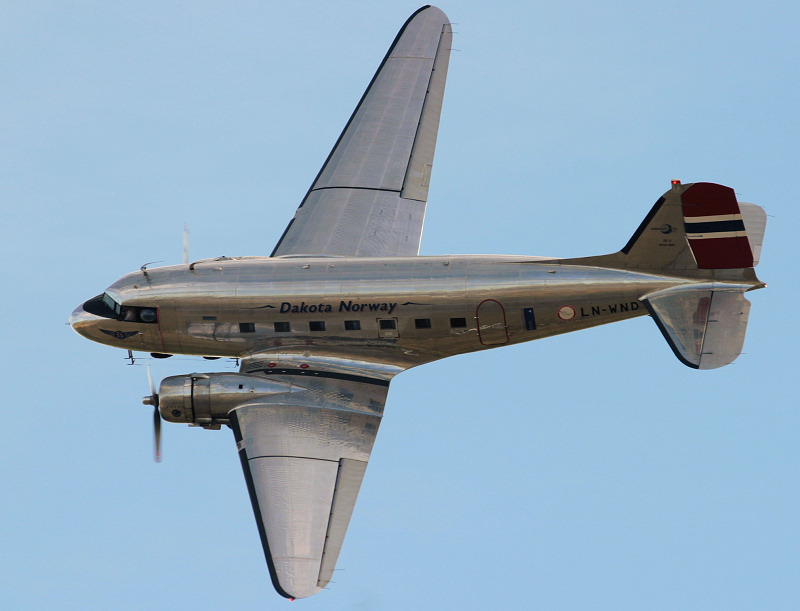 It was also used in the civilian role and flew with twelve air carriers as an airliner and freight hauler up until the late 1980s. 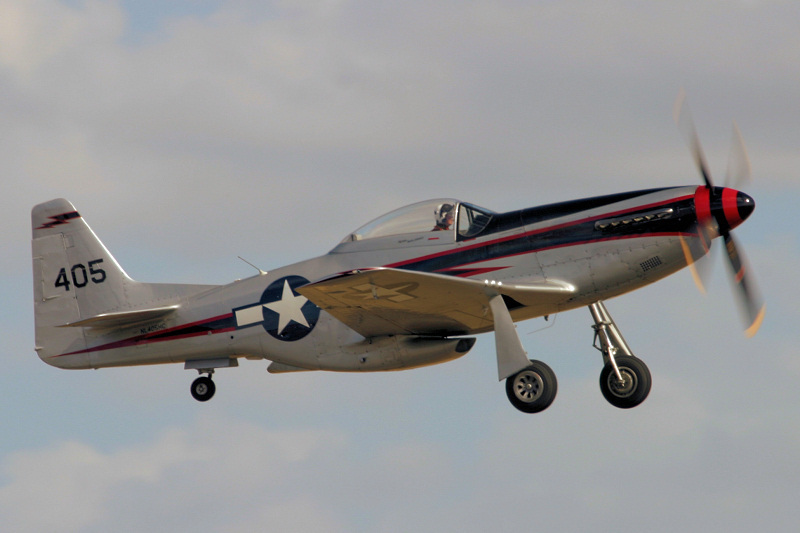 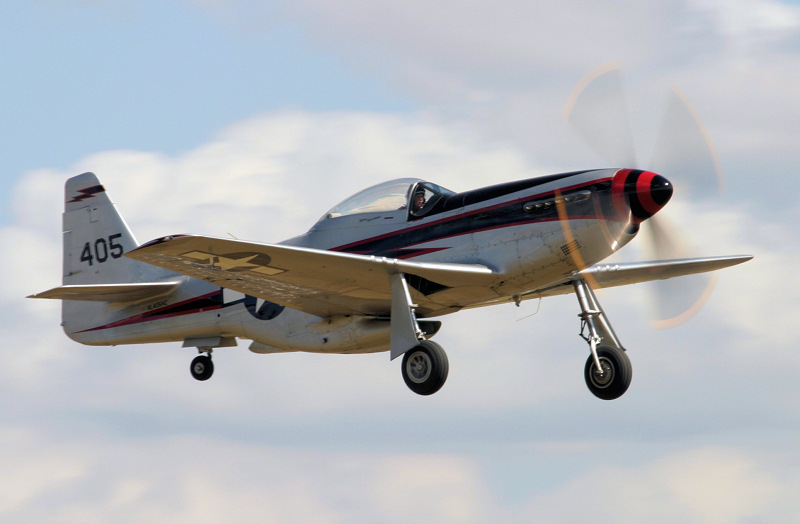 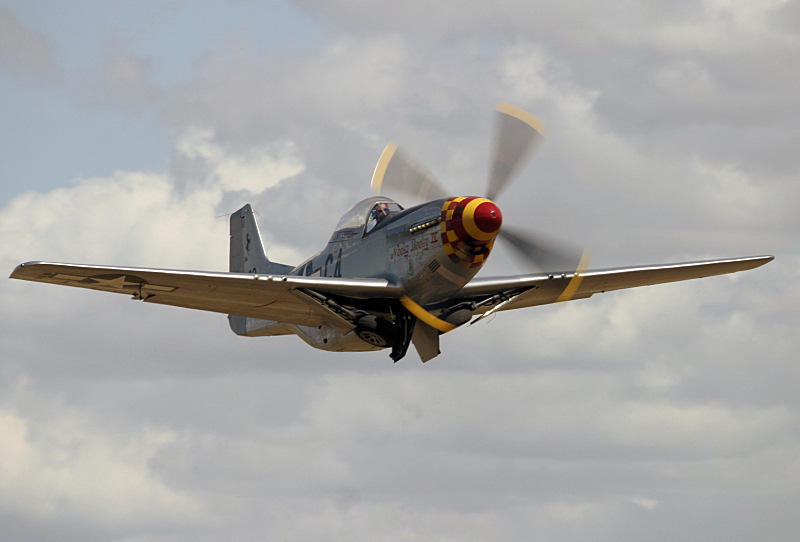 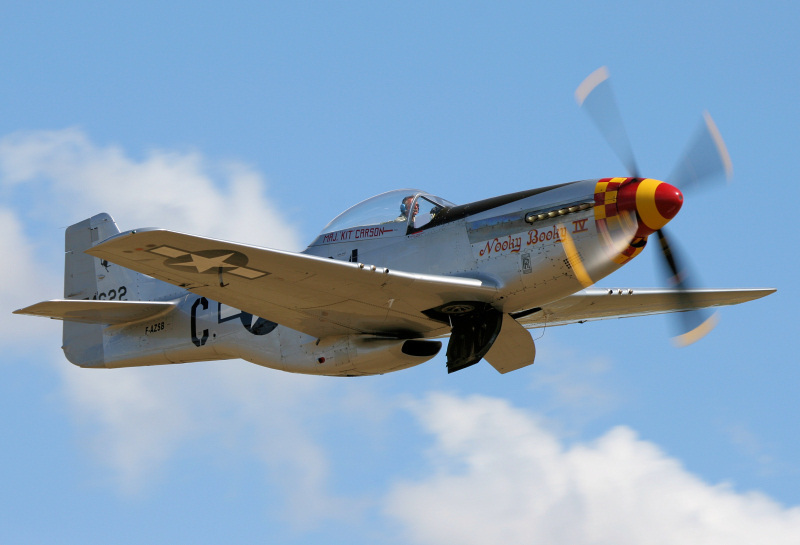 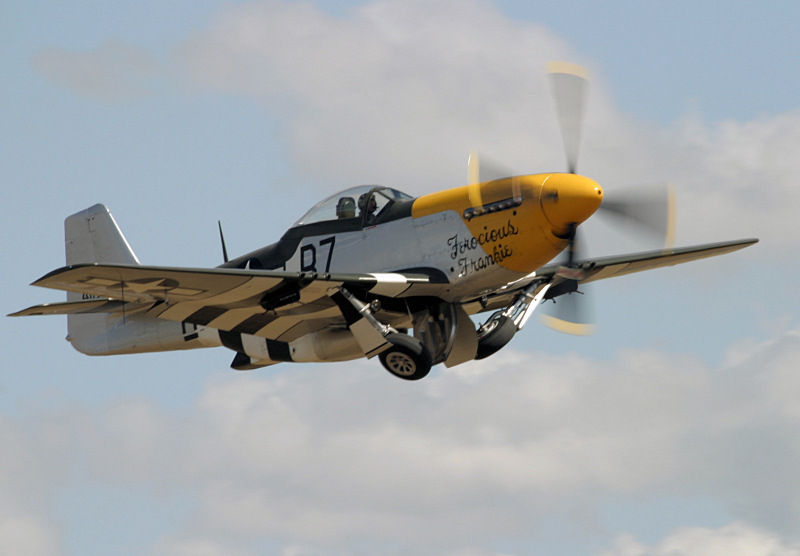 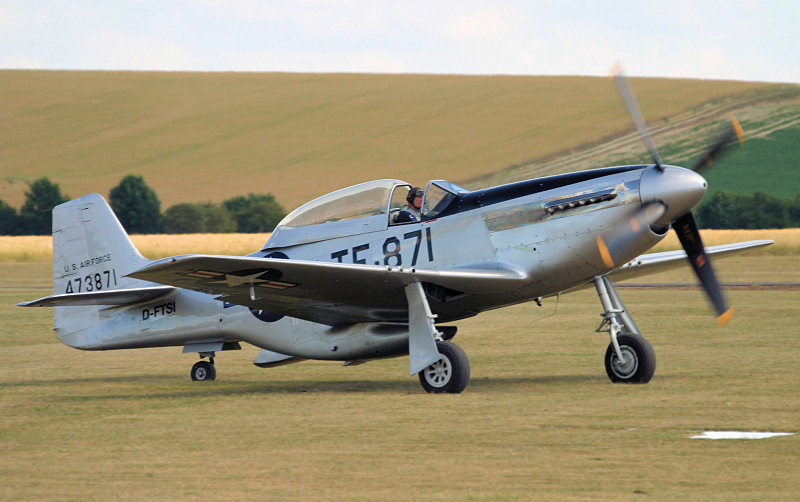 Six Mustangs were to take to the air next including two TF-51Ds and four P-51D aircraft. 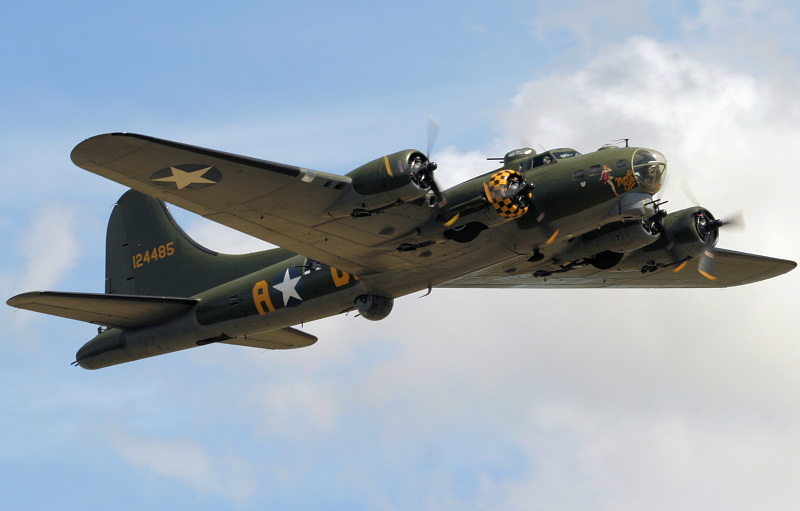 These were joined by two Ryan PT-22s, P-40N Warhawk, B-17G Flying Fortress (Sally B), and two Piper L4 Cubs, all representing the USAAF. 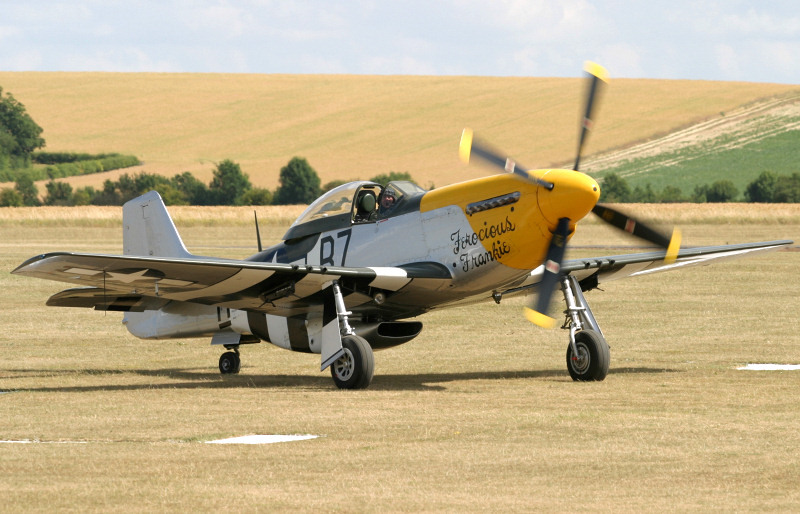 The Mustangs included TF-51D (44-73871 - MeierMotors), TF-51D (44-84847 - TFC), P-51D (44-72917 - Rob Davies), P-51D (44-73149 - OFMC), P-51D (44-73877 - Scandinavian Historic Flight), P-51D (44-74427 - Christian Amara), and P-51D (44-10753 - Biltema). 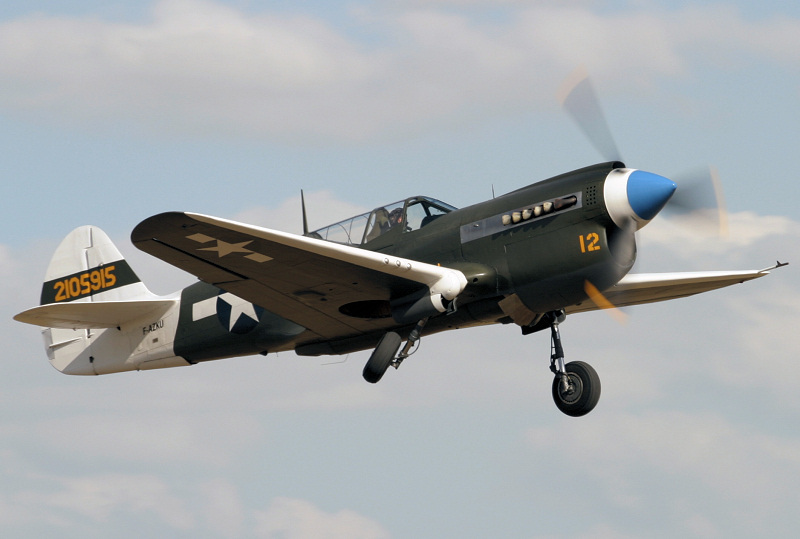 The P-40N Warhawk (42-105915) is owned by Christian Amara. 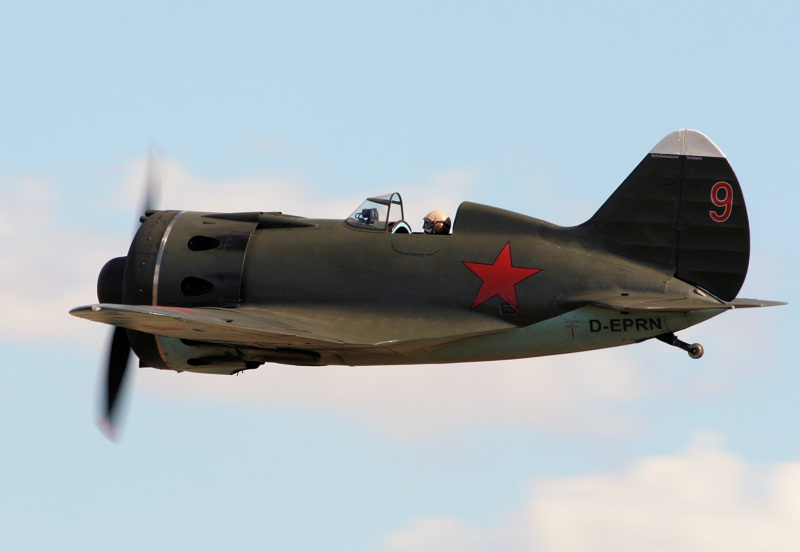 Perhaps the most interesting aircraft at the show displayed next with the Polikarpov I-16 'Rata', two Yakovlevs Yak-3UA (0470107 - Chris Vogelgesang & 172890 - Stephane Canu), and Yakovlev Yak-9UM (0470406 - Paul Boschung) all representing the Russians. 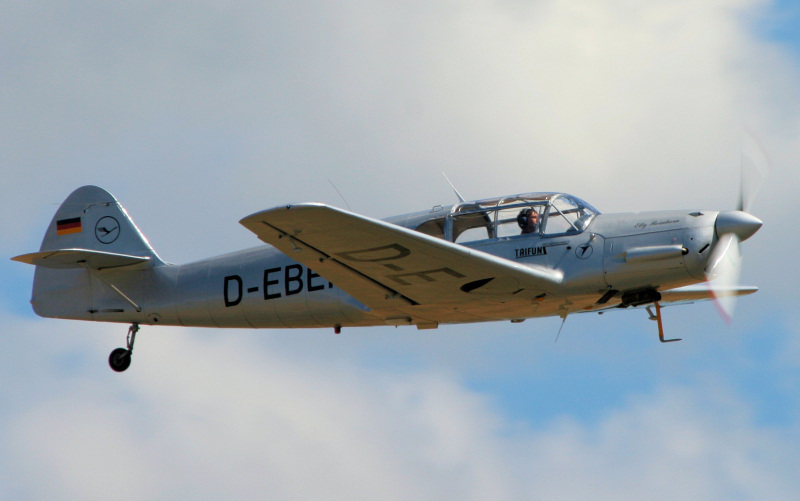 The little barrel-like I-16 'Rata' (2421319) has never previously been seen in the UK, and is owned by German entrepreneur Thomas Julch and based at Mannheim. 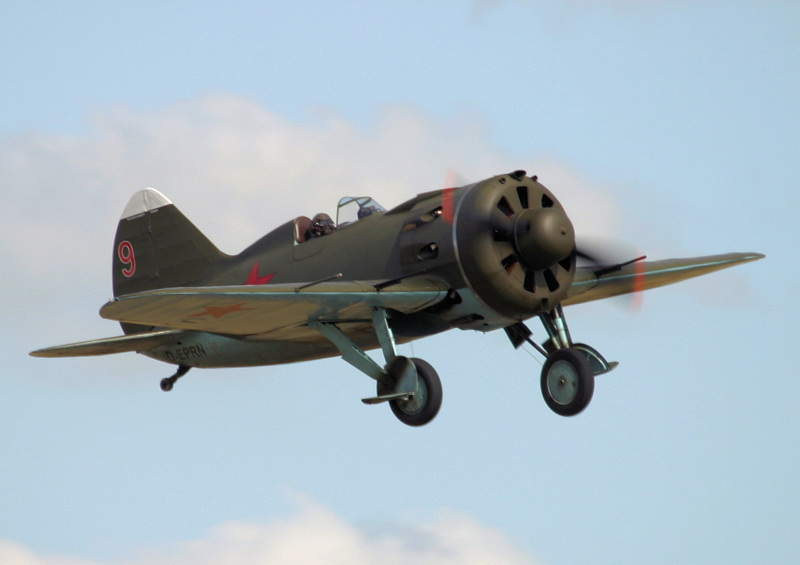 The prototype I-16 made its maiden flight in 1933 and was considered the most modern aircraft in its category being the world's first single-seat fighter with low-mounted monoplane wings, enclosed cockpit, and retractable undercarriage. 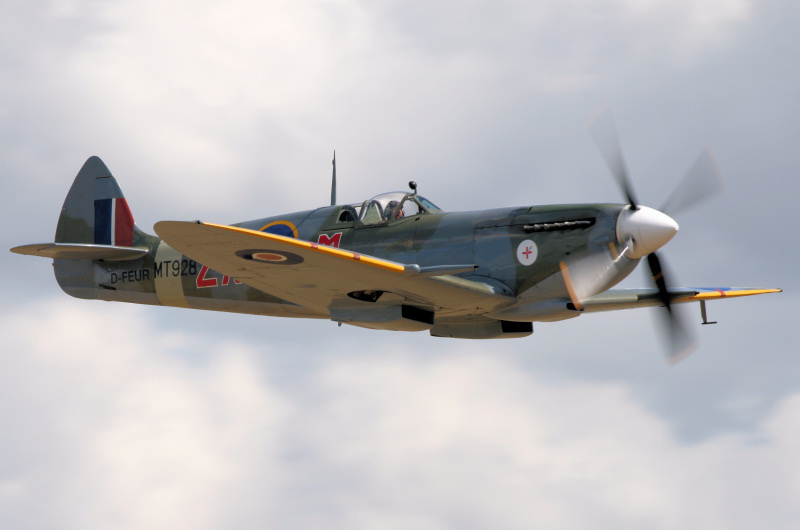 It could fly at speeds of 270mph and had a tight turning circle. 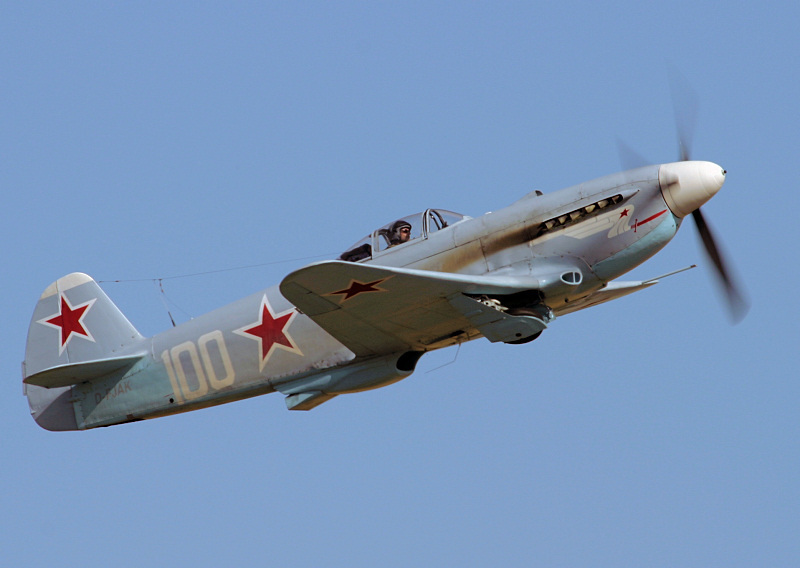 Many I-16s were used successfully in the Spanish Civil War. 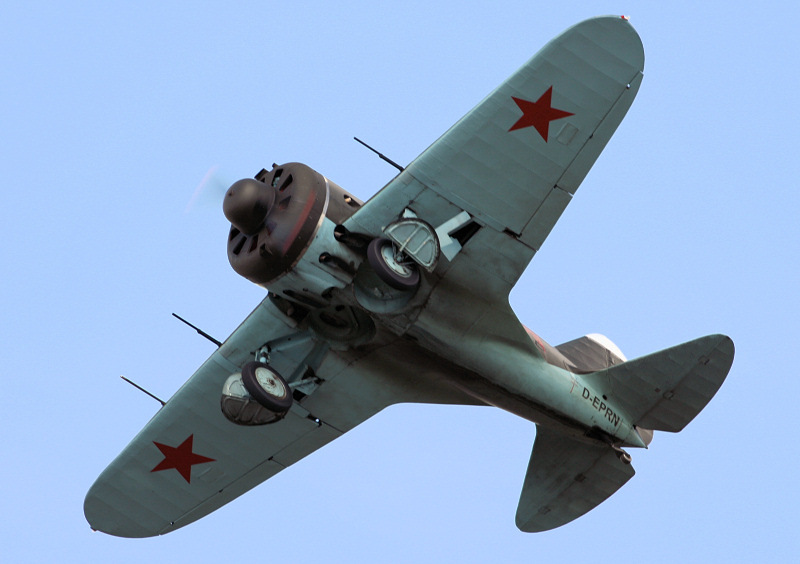 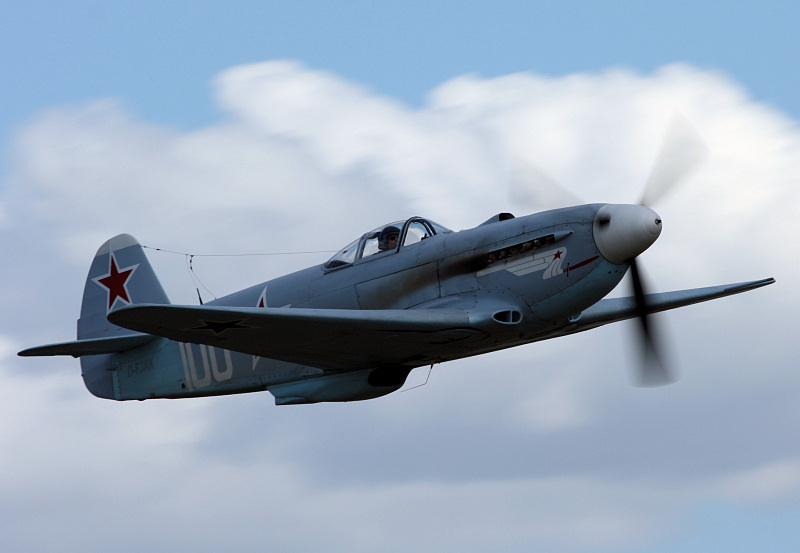 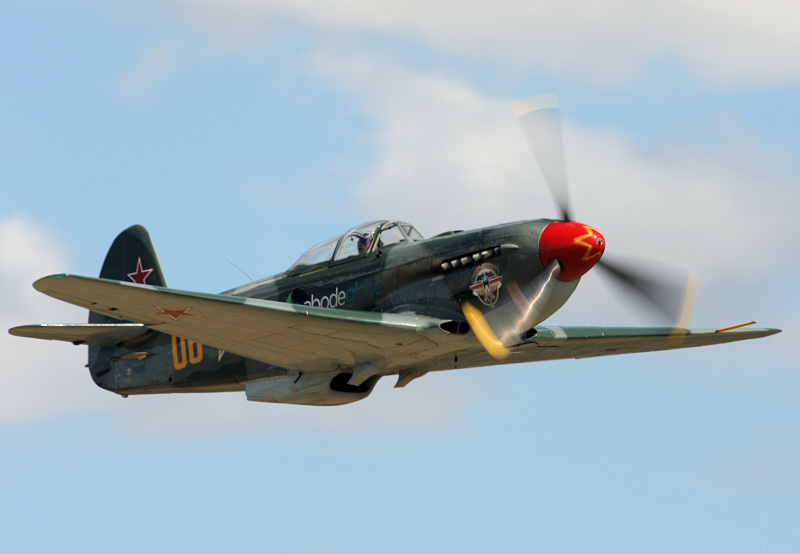 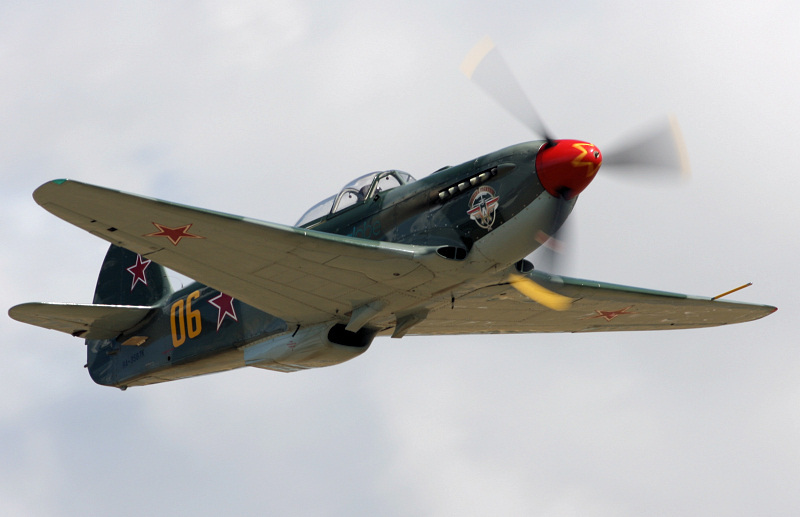 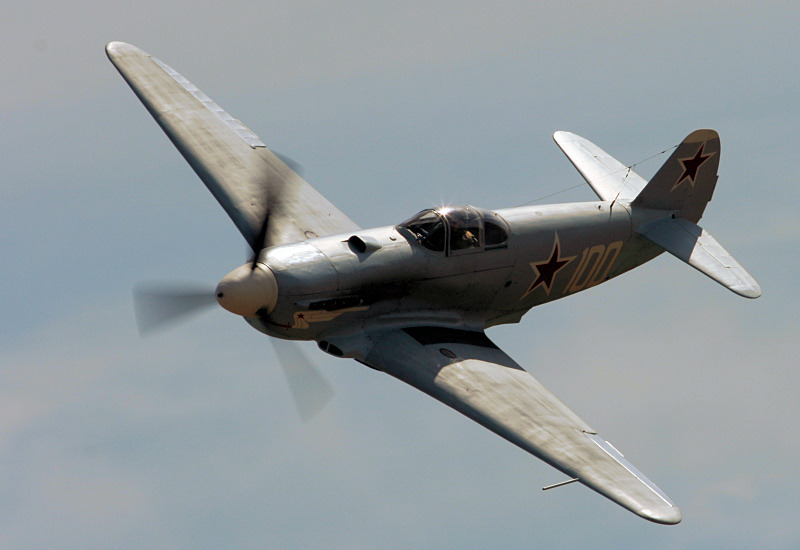 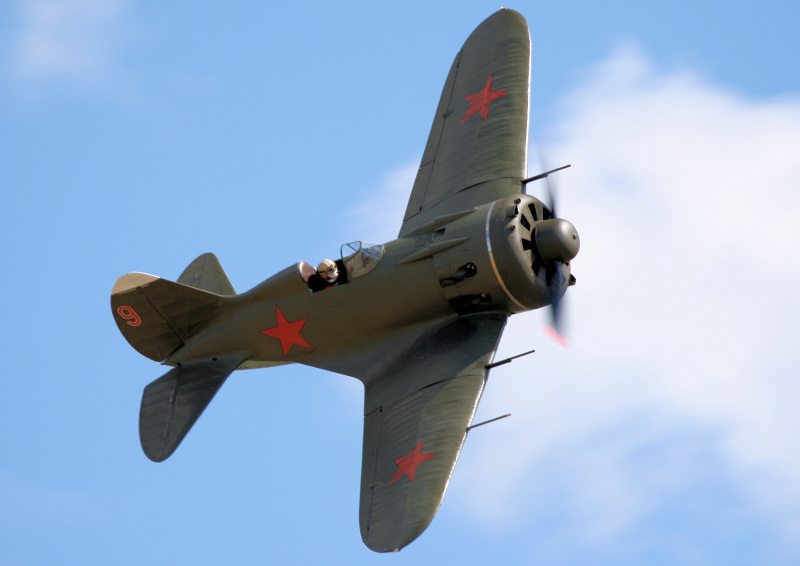 The I-16 remained the most numerous fighter with the Soviet Red Army Air Force well into the 1940s with production continuing until 1943. 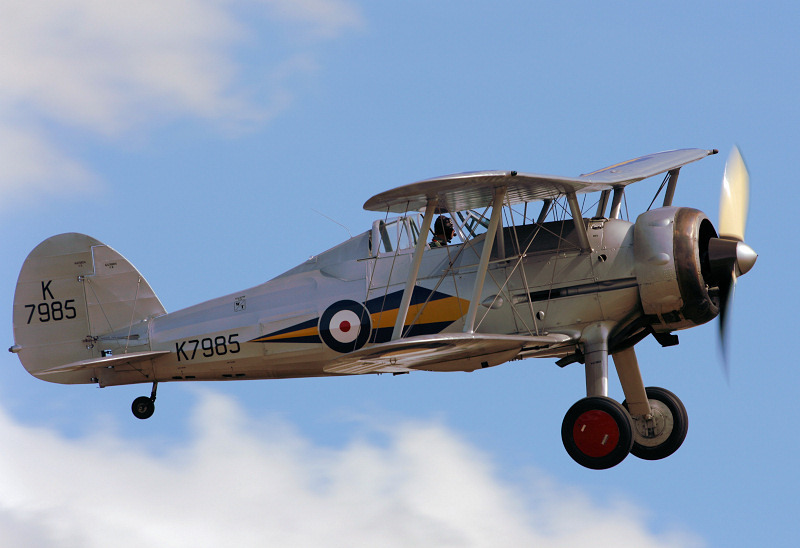 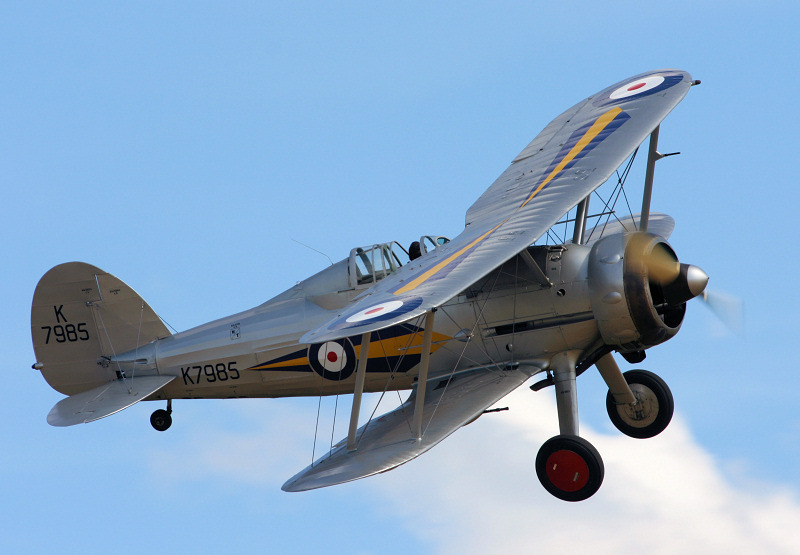 Classic British aircraft were represented by Real Aeroplane Company's Percival Mew Gull (G-AEXF), Miles Magister (T9738), and Arrow Active II (G-ABVE), the Shuttleworth collection's Hawker Hind (K5414), Gloster Gladiator I (L8032) , and Westland Lysander IIIA (V9552), as well as the Historic Aircraft Collection's Hawker Nimrod II (K3661), and Demon Display's Hawker Demon (K8203). 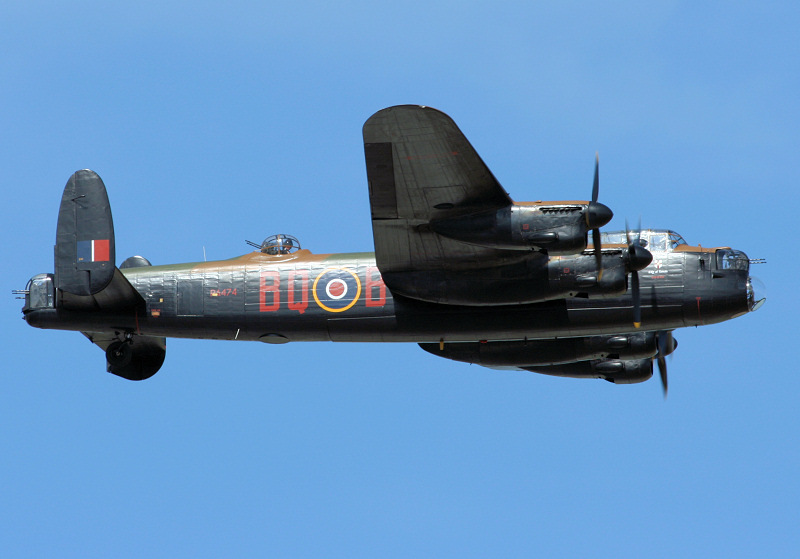 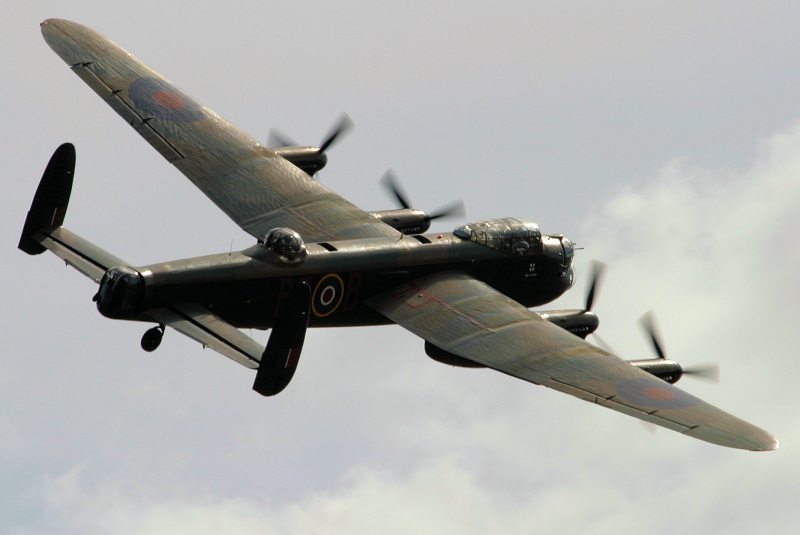 The Battle of Britain Memorial Flight's Avro Lancaster and Spitfire IIa (P7350) also displayed. 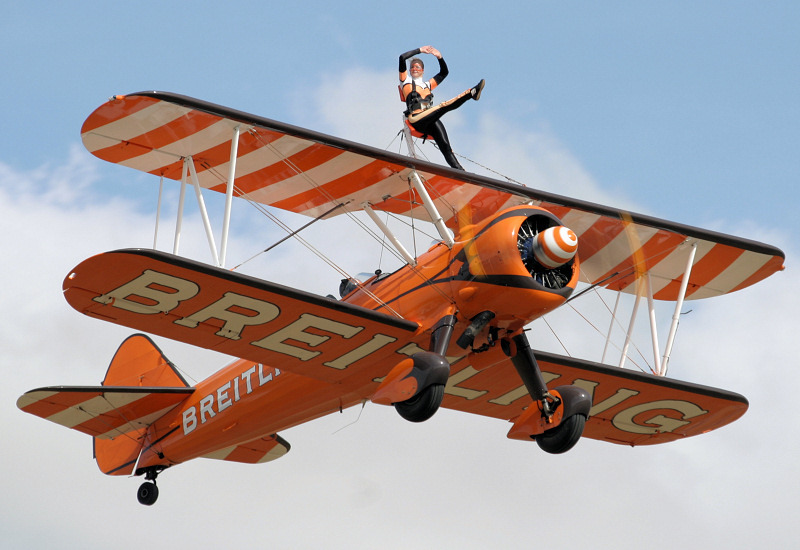 The Breitling Wingwalkers were up next performing their impressive display in two very colourful Boeing Stearman aircraft. 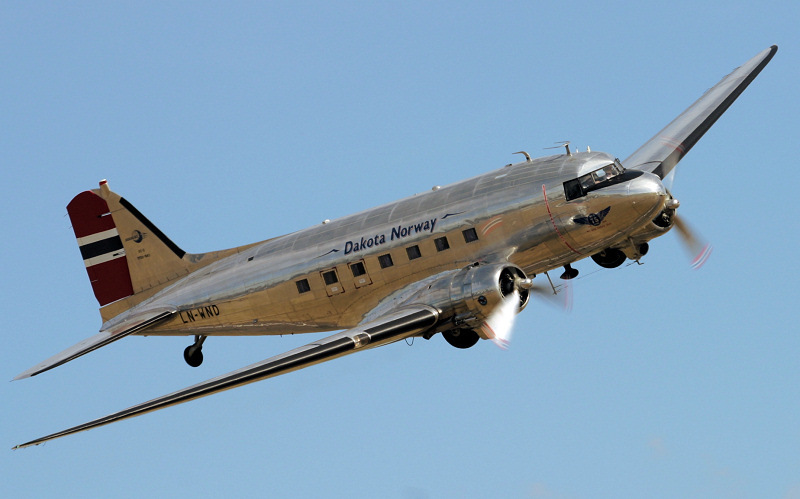 Next was the gleaming Douglas C-53D Skytrain (42-68823 LN-WND - Foundation Dakota Norway), and Morane 406 (D-3801 J-143 - Association Morane Charlie-Fox). 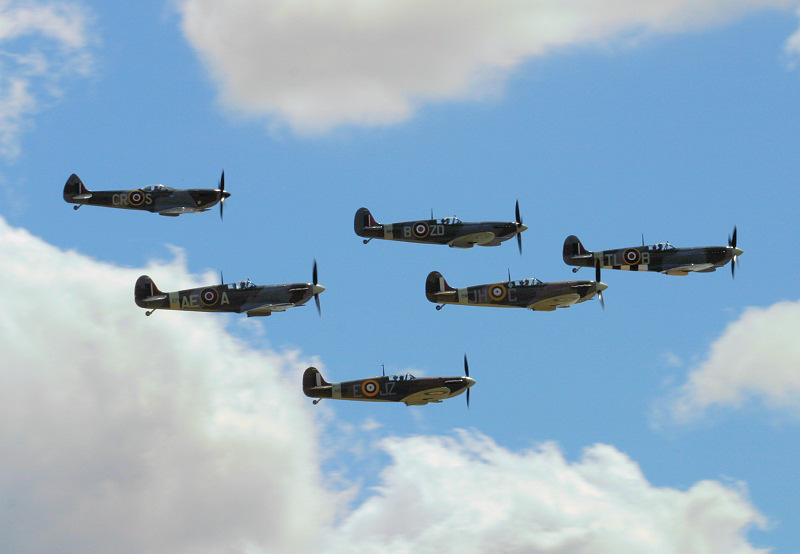 As usual, the show ended with a massed flypast of many of the aircraft that had displayed. 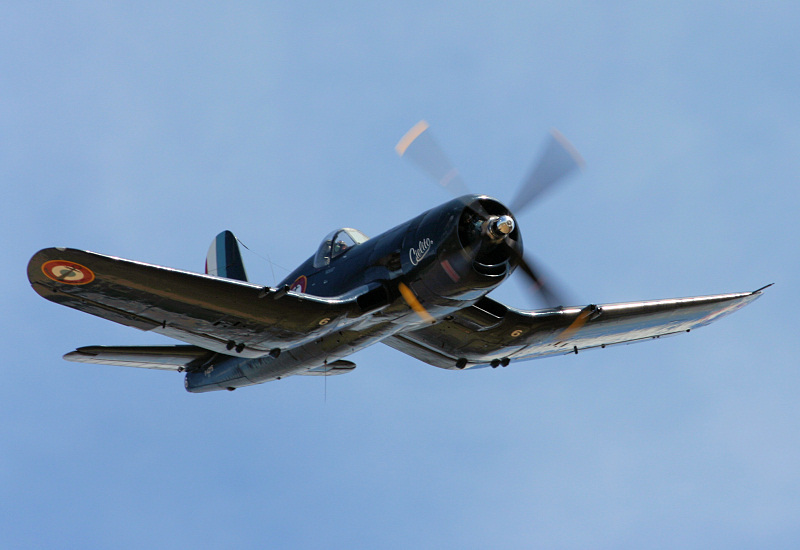 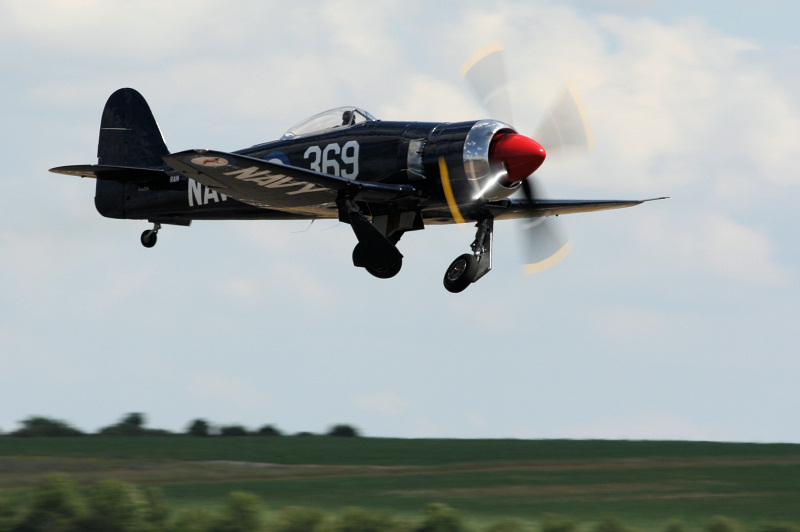 While the Balbo was forming up it was down to the Joker, Stephen Grey, to keep the crowd amused in the F8F Bearcat. 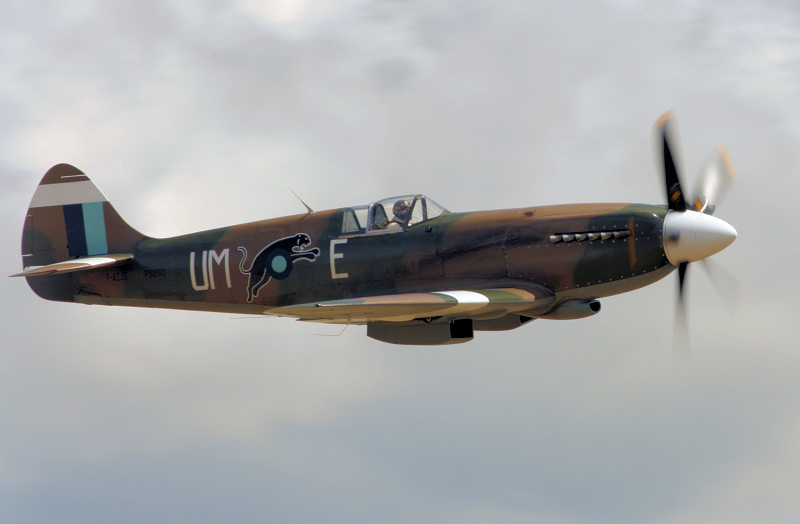 Thanks to The Fighter Collection and the Imperial War Museum Duxford for putting on yet another fantastic and thrilling air show this year. 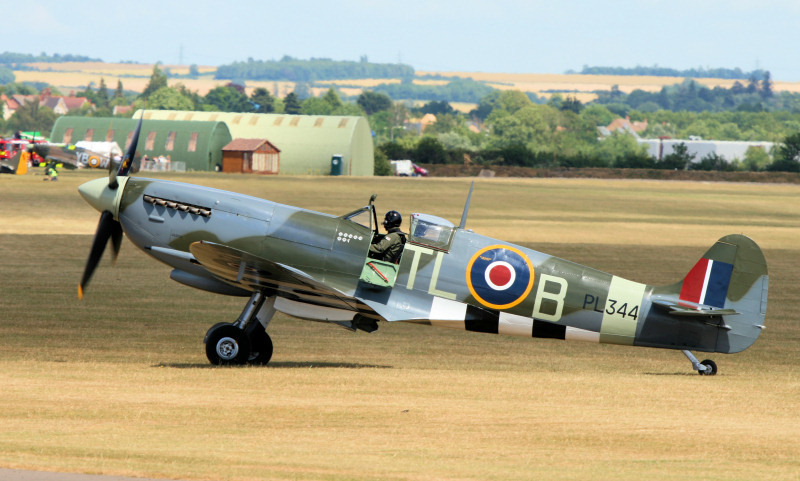 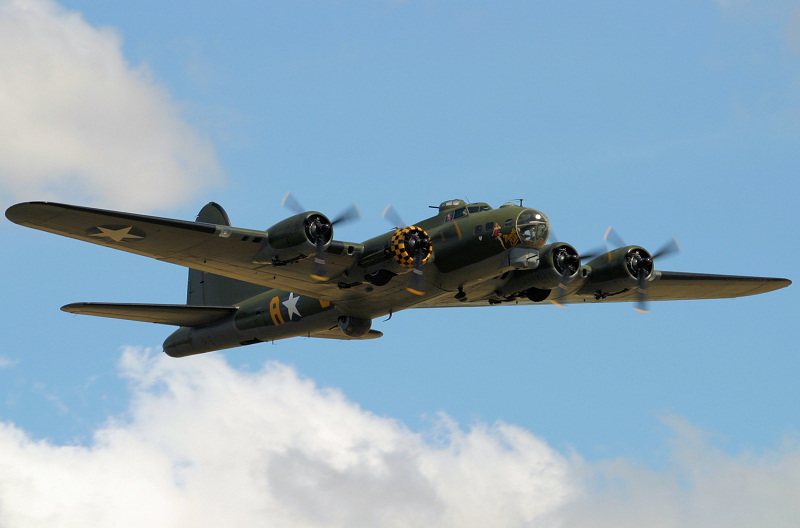 Duxford will be hosting two more major air shows this year, with the Battle of Britain Air Show on 4th and 5th of September 2010 honouring RAF Duxford's finest hour, and the Autumn air show on 10th October 2010. 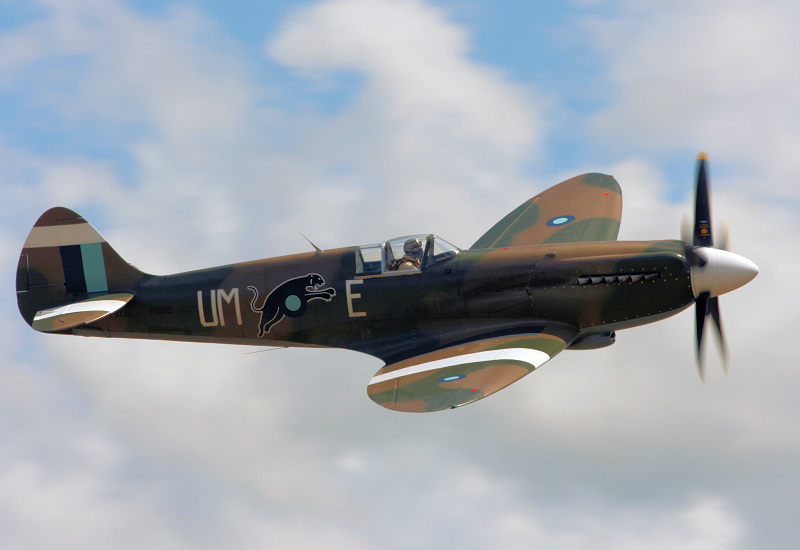 Please visit the Imperial War Museum, Duxford website at www.iwm.org.uk/duxford for more details.